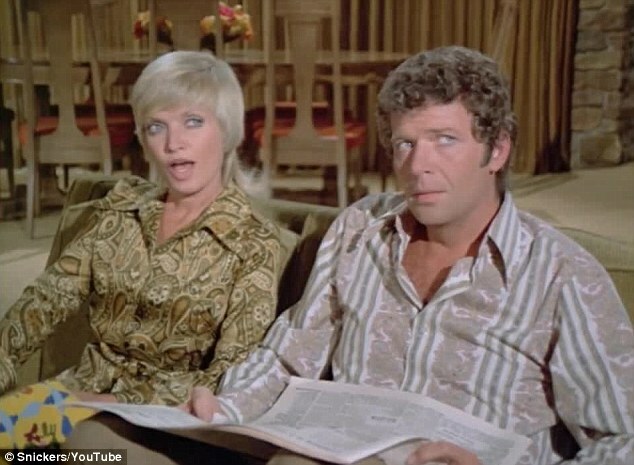 Speaking of the Brady Bunch, not long ago I read a piece on Slate arguing that Carol and Mike Brady, who as you recall were both widowed, murdered their former spouses. The writer presented "evidence" from the show. The piece was tongue in cheek, but one piece of evidence was pretty compelling: Nobody in the show ever mentions the dead spouses. Not the parents, and weirder still, not the kids. Some if not all, of the kids are easily old enough to remember their late father or mother, so inevitably IRL they would refer to them now and then. I guess that's not really evidence of murder, unless the kids were all in on the crime, but still, it's weird. Actually, the whereabouts of Carol Brady's first husband are a mystery. When filming started for the show, it was originally thought that one of the parents would be divorced. They didn't want audiences to think badly of Mike Brady, so they made him a widower. This was addressed in the first episode. Carol Brady was to be divorced, as per the show's creator, Sherwood Schwartz, but the network felt that may be too risqué, so her first husband was never even mentioned. That makes it even more scandalous, though! Maybe she had her kids out of wedlock. Maybe they had three different dads! That Carol Brady gets around. Maybe they had three different dads! That Carol Brady gets around. The Brady's are just shocked by your accusation! I heard yesterday that the Brady's house has just been sold, but I forget who bought it. Slate, according to the 'MediaBiasFactCheck' site is: "These media sources are moderately to strongly biased toward liberal causes through story selection and/or political affiliation. They may utilize strong loaded words (wording that attempts to influence an audience by using appeal to emotion or stereotypes), publish misleading reports and omit reporting of information that may damage liberal causes. Some sources in this category may be untrustworthy." Quoted the above to defend my position that a Liberal source is trying to tear down a 1970's idea of an intact Male/Female/Bunch of Kids family that is thriving, happy, and despite dealing with all the things I/we grew up with, was a success. Slate is all about 'Identity Politics' so the fact that this intact, all white family unit, through the thick and thin of divorce, death of spouse, etc. couldn't be legit so they had to murder their spouse(s)……. I bet whoever wrote that piece (of S) for Slate has never seen an episode of Brady Bunch, can't relate to the '70's, and is doing everything in his/her power to tear down our/my history. Kinda like what is going on in the South. No need to look it up in MediaBiasFactCheck, Brad! I could have told you that. I read Slate all the time, and it's very well written, smart, insightful and often humorous. (Writers who have contributed to the site include Dave Cullen, BTW.) But yes, it is most definitely left-leaning. So is the New Yorker, considered perhaps the country's most excellent magazine (as I'm sure you know, it first published "Brokeback Mountain"). A publication can have a political slant and still be perfectly good. Oh my god, Brad, you've got to be kidding. That idea is so ludicrous I don't know where to start. I'll just throw a few things out there. 1) The Brady Bunch is a FICTIONAL show 2) People write various theories and analyses of fiction ALL THE TIME, both seriously and not-seriously. 3) He's not really trying to convince you of any kind of so-called reality of a fictional family. 4) If he wanted to trash a classic TV family that wasn't white, he'd have a hard time, since almost all family shows in those days were about "intact, all white family units." 5) The writer of the piece obviously HAS watched the show because no writer in the world would write a piece about a show without having seen it. Well, I take that back. No writer at a responsible media outlet that holds basic journalistic standards, which Slate most certainly is and does, would do that. 5) If you think Slate is "all about 'Identity Politics'" then clearly you are not familiar with Slate. But how can that be? I assume you've actually read quite a bit of Slate, including the article in question, because your post suggests you think people shouldn't criticize things they haven't actually seen. Every day after school I’d step off the school bus and let myself into our empty house. I’d smear peanut butter on some crackers and glance at the conspiracy-filled stories in the afternoon paper—Watergate, the Mafia working with the CIA against Castro, new evidence about who shot JFK. Mom’s rule was clear: No TV until my homework was all done. Of course, I broke that rule every day. The TV’s blare filled up that quiet house, making me feel less alone. I’d race through my assignments during the commercials. One of the shows I often watched, broadcast in syndication, was the blandest sitcom ever conceived, The Brady Bunch. I came to know that earworm theme song by heart. 6-100) "To tear down our/my history" Seriously?? White Southerners defending statues of Confederate generals make a far, far better case than that. I lived through "The Brady Bunch" years -- in a white family, with divorce -- and in no way would I ever, ever identify The Brady Bunch as "my history." Wow. It's a stupid TV show. I was somewhere around Marcia or Jan's age when it ran, and I probably watched, oh, maybe four or five episodes. Because even by the standards of the early '70s, and even by the standards of a 13-year-old, it was not a good show. But also, do you really think that's how the left operate? Like the most devious plot they can concoct to destroy white America is to write a funny piece about an almost 50-year-old TV series? To suggest that a silly piece about a stupid show is making some kind of statement about all of white America is so ridiculous I'm still slackjawed that anyone would say it. Plus then there's the perfectly valid point that a show featuring six kids and two adults WHO NEVER MENTION THE MISSING PARENTS is weird. Obviously that doesn't "mean they murdered them" because, again, it's a fictional TV show, the people who made it can say whatever they want to say about it (as Chuck pointed out). Or wait ... was your post an attempt at tongue-in-cheek humor too? If it was supposed to be a joke, my apologies, ignore all the above. That said, Brad, welcome back to BetterMost. So was this where we were discussing The Guernsey Literary and Potato Peel Pie Society before we detoured into Brady territory? I watched it over the past two nights. It was good, very worth seeing if a bit over-the-top romanticized. It makes Titanic look like, I don't know, Reservoir Dogs or something. That GQ-level handsome, perfectly groomed, flawlessly moral and kind, orphan-adopting, Charles Lamb-reading pig farmer would never be so boastful as to call himself King of the World. My boss keeps bugging me, saying I need to see The Big Lebowski. Has anyone here seen it? Yes, and I would advise you to pass. It's all about Jeff Bridges in a bathrobe dispensing platitudes, the inane plot merely an excuse. How it can be in the National Film Registry and not Brokeback is a crying shame. I think earlier on this thread we were talking about how older men could be paired with younger women on the screen, but not vice versa. A prime example of the obverse is Emmanuel Macron and Brigitte Trogneaux, his wife. Emmanuel was a 15-year-old when he met his future wife, who was his drama teacher in high school . She is 24 years his senior.